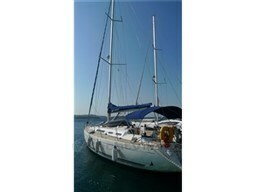 Ship in Croatia .Tax not paid.Ship is in excellent condition! Not much used! New Main sail and genua in 2012. Dear Sirs, I have seen on YachtVillage your offer about Cantiere del Pardo Grand Soleil 45 - 2004 (code: 46646). I am interested in the offer and would like you to contact me. Thank you.